When are you open during the year? 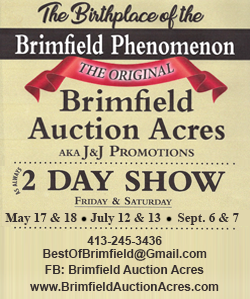 Out of all of our Questions about Brimfield, the days that the show are open has to be one of the most asked. 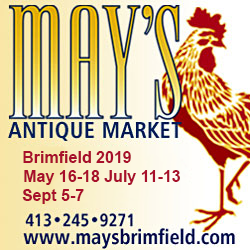 The Brimfield Flea Markets are open only 3 times each year for a 6 day period in a row. The months are always May, July and September. The dates vary from year to year. They always open on a Tuesday and close the following Sunday. Other than that they are closed. 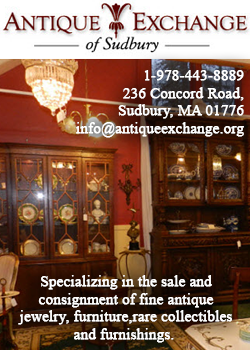 There are several antiques shops in the area that are open year round but not always every day. Best to call ahead. 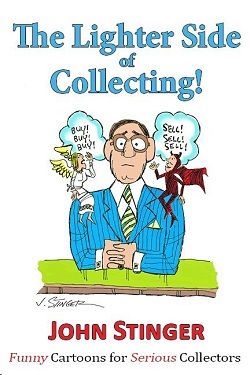 What time do the Flea Markets open? And close? The actual opening times vary from one show to another. 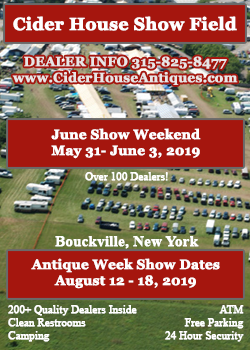 There is a schedule one this website that show the opening times of individual show fields. 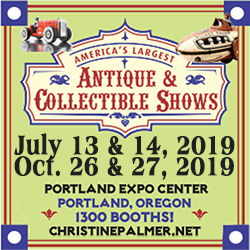 Many fields are open from early morning until late afternoon, depending on the weather, the traffic, and the rules of a particular show field. No. 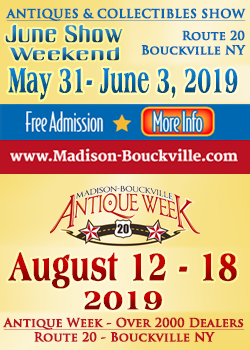 Many of the shows are free. Some charge admission for just the first day and stop after that. 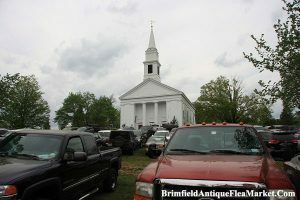 Overall, it’s not very costly to shop Brimfield. Basically, there are parking lots all around town. If you know which area you plan to shop on a particular day you should park in that area. Using the chart and map shown on this web site you can make a good plan. Parking is very reasonable with the highest price we’ve seen being $10 per day. 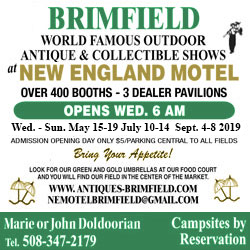 If you have questions about Brimfield parking, please call the fields before the show and ask directly for updated prices. 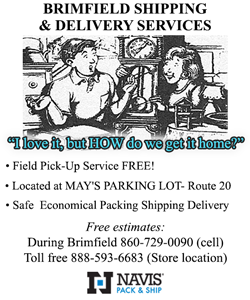 What are the directions to get to Brimfield? 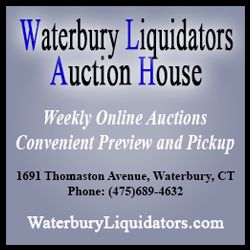 From Areas West: Traveling east on the Mass Pike, take Exit 8 (Palmer). Turn right after the off-ramp and left at the first light onto Route 20 East. Continue east about 8 miles to Brimfield. 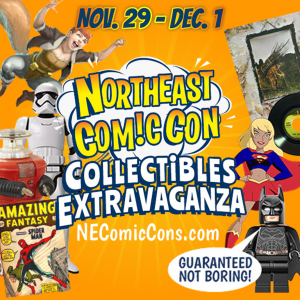 From Areas South: Travel north on I-91, to 291 East, to Mass Pike entrance (Exit 6). Take the Mass Pike East to Exit 8 (Palmer). Turn right after the off-ramp and left at the first light onto Route 20 East. 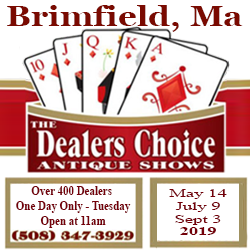 Continue east about 8 miles to Brimfield or take I-84 to Sturbridge, then Route 20 West (about 7 miles) to Brimfield. From Areas North & East: Take 495 South to the Mass Pike. 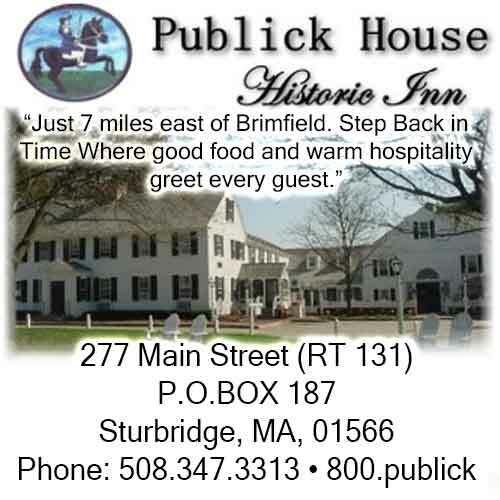 Take the Mass Pike west to Exit 9 (Sturbridge). Turn right after the off-ramp onto Route 20 West. Continue west about 7 miles to the Shows. Most fields have porters available for a nominal fee. 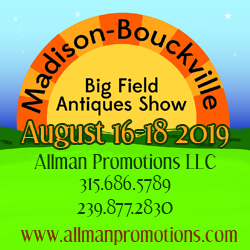 You can often arrange to drive onto the field where you made your purchase late in the day and they will load it into your vehicle.Again, if you have questions about Brimfield shipping or porters, please contact the fields directly. 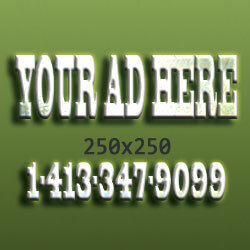 You might also consider making arrangements for delivery. 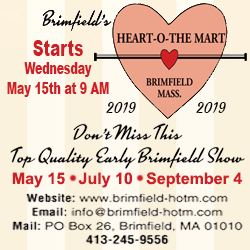 And the most asked Questions about Brimfield is what is the best day to shop at Brimfield? I usually suggest shopping Tuesday through Friday if your schedule allows. Saturday is better than Sunday if you have to wait until the weekend. The traffic can be bad on Saturday since so many retail shoppers arrive then.